The first step to eating better is to realize what you eat now. 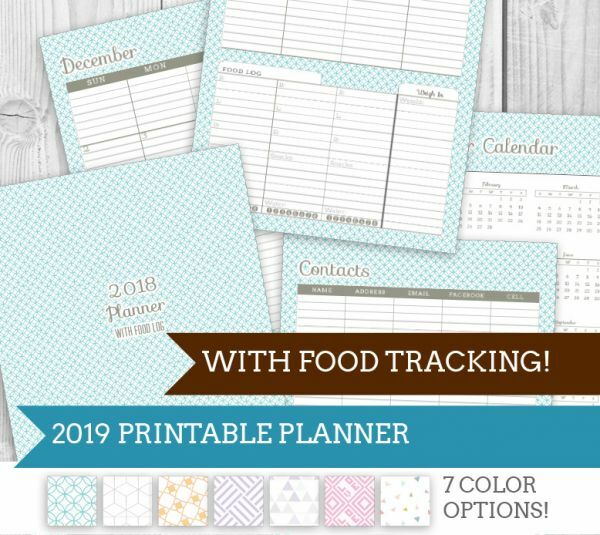 This planner with food log has room to track meals, snacks and water intake. Plus, there is room for a weekly weigh in! 2019 and 2020 yearly views side by side. 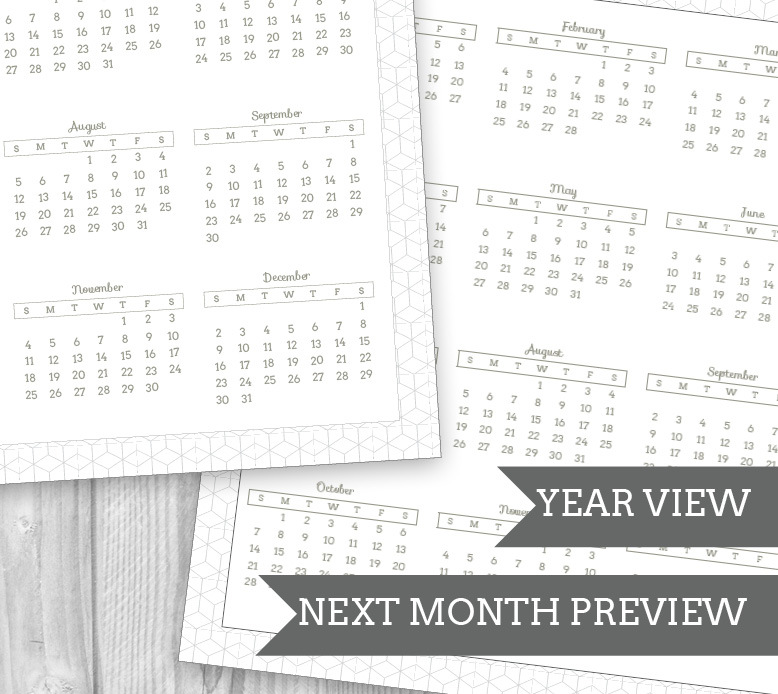 Beautiful and spacious 2 page views for all months Dec – Dec ’19. 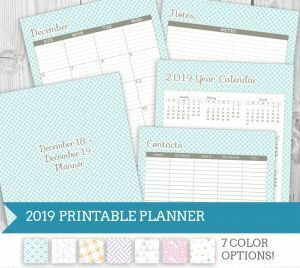 Two Page per week views from Dec – Dec ’19, with ample space to track appointments..
Special pages for notes at the end of each month, allowing for easy addition of custom Add Ons, also available in the shop. 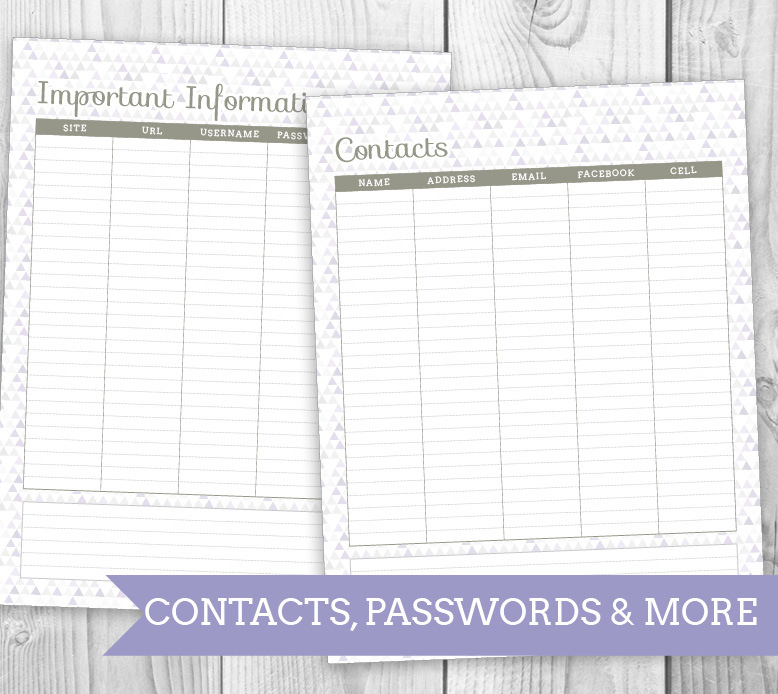 Space to store contacts, important passwords, and important information for the upcoming 2020 year. 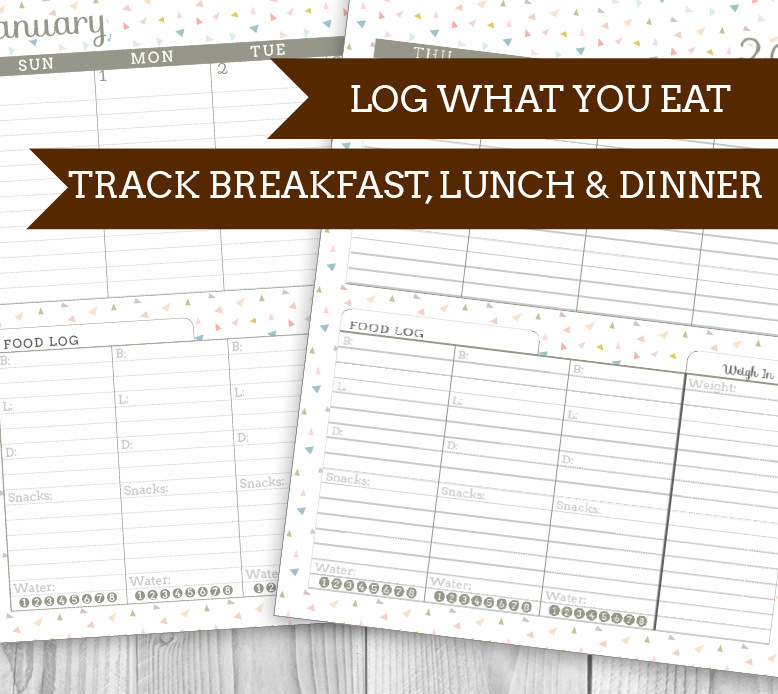 Dedicated space in each day to track what was eaten and how much water you’ve had. Plus weekly weigh in area. 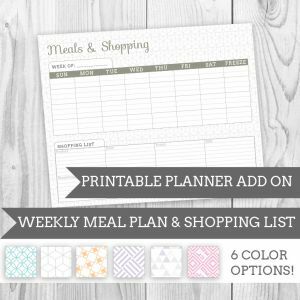 This is an all encompassing, multifaceted and beautiful planner that is sure to make life easier! 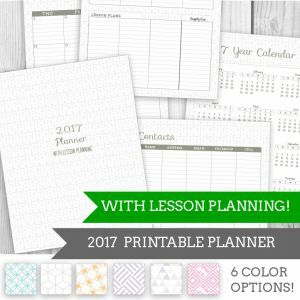 It makes a great back-to-school or anytime gift for the teacher in your life! See How I Use my Planner, including favorite pens, binding options and tips/tricks. Files printed at actual size are 8.5in x 11in for Full and 5.5in x 8.5in for Junior. 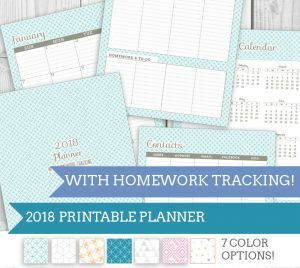 All copyrights to this planner are reserved. 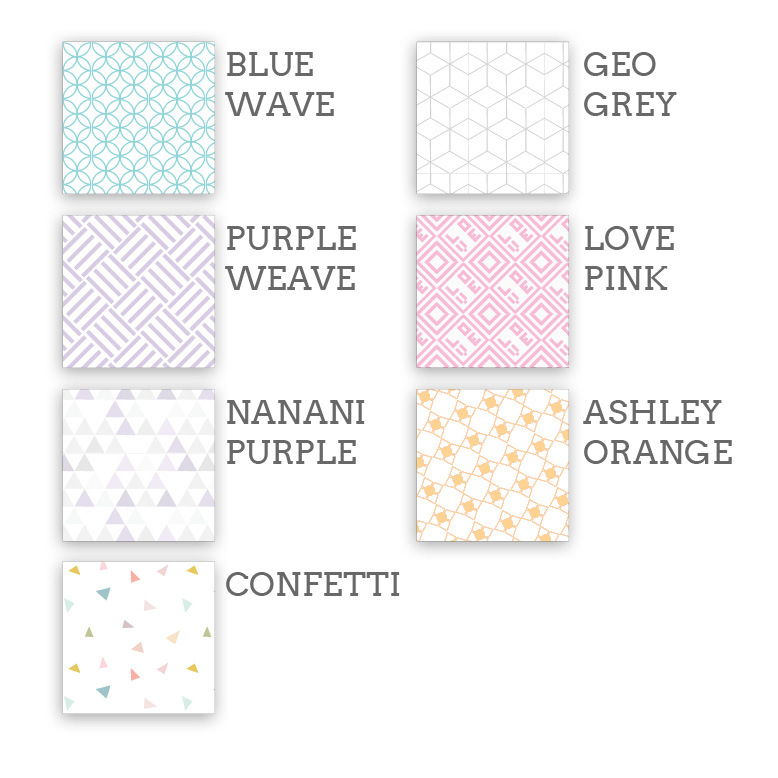 Please do not distribute the digital file, or sell the completed planners. This template is designed to print on home printers on letter sized (8.5in x 11in) or half sized (5.5in x 8.5in) paper. You may need to have the file printed at a copy shop. Cost of color printing varies, and calling ahead for pricing in your area is suggested before ordering. Cost of printing is not included. You will need a computer to print from that can read PDF files.